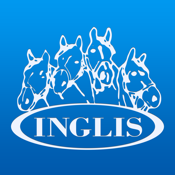 Inglis Sales app gives you access to Inglis sale catalogues on your iPad. With this app you can easily view and search for pedigrees, create/edit short lists and assign ratings to each lot. The app also provides up-to-date sale results and a 'make an offer' service, which makes this the perfect tool for an informed buyer.